Although there are a few bars and taverns along Route 66 (formerly Railroad Avenue) in Gallup, NM, there is no evidence that a place by that name currently exists. The Turquoise Tavern could be either a reference to a place that has closed down or changed name and ownership over the years, or it might be a fictional establishment invented by Tony Hillerman. 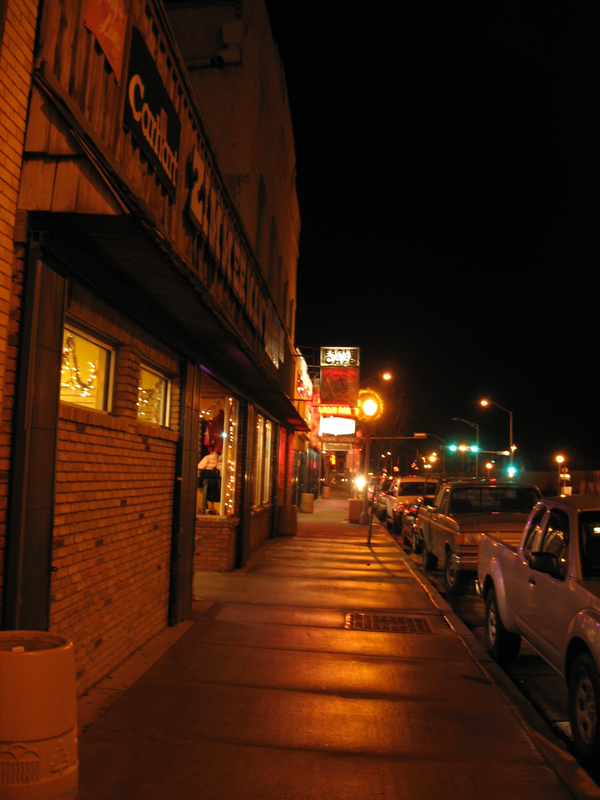 "Route 66 in downtown Gallup, NM at night, December 17, 2010" by Ken Lund is licensed under CC BY-SA.